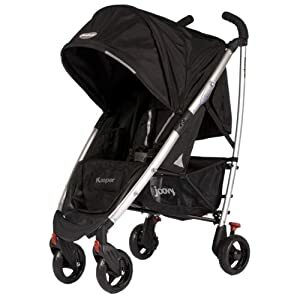 The highly rated Joovy Kooper stroller is currently discounted by 33% (in Black or Yellow) on Amazon.com right now. Use Amazon.com coupon code SAVESSSS at checkout to take an extra 15% off your order. That brings your total down to $113.26 after all discounts. Amazon also started offering free shipping and free returns on most baby products. That's a fabulous way to be able to get a product and make sure you love it without having to worry about return shipping if you don't!